Trying to save some money on your next car purchase but still want a spacious SUV for your Mehlville drives? Explore the used Kia Sportage models available at Suntrup Kia South to get the space, features, and safety you want at the price you need. Why Buy a Used Kia Sportage at Suntrup Kia South? Ready to step into a Sportage of your own? 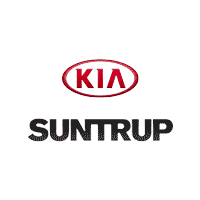 Contact us today to schedule an appointment, or visit Suntrup Kia South in St. Louis, your Oakville-area Kia dealership. Make sure to explore our used vehicle specials as well!